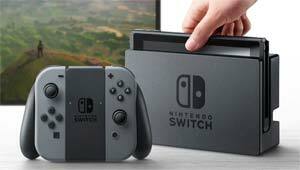 Pojo's Video Game Site - Nintendo Switch - What Memory Card Should I Get? Pojo's Video Game Reviews, news, tips, strategies and more! What Memory Card Should You Get? 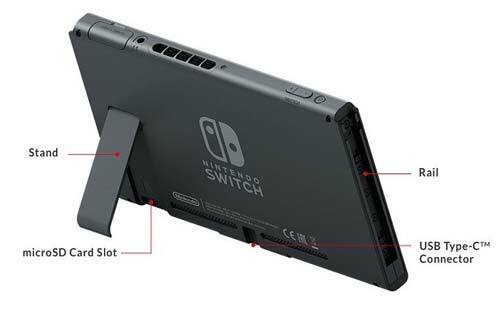 So if you're like me, you've pre-ordered a Nintendo Switch, and now you're wondering what accessories you need. The Switch accessories are pretty expensive, so you may want to spend your money wisely. Today we're going to look at Memory Cards to expand the storage. But, the Switch only comes with 32 GB of storage built-in. So the first thing you might want to "Invest In" is more storage. On the Switch, more storage will come in the form of Micro SD Cards. Nintendo Switch supports all Micro SDXC memory cards up 2 TB! Now, 2 TB cards are not yet in stores, but the system will support them when they are. How big of a Micro SD card do you really need? Well, that really depends on how you like to purchase your games. Do you like to purchase physical copies of games? Or do you like to purchase the digital version, and download them yourself? 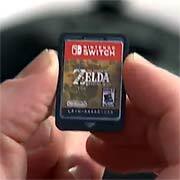 The physical copies of Nintendo Switch games will be preloaded on cartridges, much like 3DS games. I like Physical Copies of games, but many of my friends like Digital Copies. I like to resell my games after I play them. Others don't. If you buy the physical copies of games, you will not need as much additional storage. But you will need a lot of additional storage if you like to buy digital copies. Reportedly, The Legend of Zelda: Breath of the Wild needs more than 13 GB of storage. That will take up more than 40% of the Switch's built-in storage if you download it! So, you probably want to look at Memory Cards in the 32GB, 64 GB, 128GB and 256GB sizes. The 256 GB cards are overpriced right now in our opinion, so toss that option out for a while, unless you're loaded. We're going to be honest with you here. Micro SD cards can get confusing. Besides GB size, there are different types and different speeds. Let's try to simplify cards for you. Type Difference: SDHC vs. SDXC - This has to do with the file systems on each of these cards. I'm not going to get too technical here though. Essentially SDHC is a slower technology. SDXC is faster and allows for larger cards (GB-wise). Get an SDXC card. Speed Difference: Another thing you need to consider is read/write speed of you memory card. When you shop for cards you will basically see a variety of speeds broken down into Classes. The current SDHC specification defines Class 2, 4, 6, 8 and 10. 10 is the fastest (10 MB/S). SDXC memory cards use "UHS Speed Class" rating. You will essentially see two different types of cards: UHS-I Class 1 & Class 3. Both cards will have super fast read speeds, but Class 3 cards will have significantly faster write speeds. Most SDXC cards you will find will have Read speeds of 80MB/s to 95MB/s. Write speeds of Class I cards are usually 20MB/s, while Class 3 cards can write around 90MB/s. While playing video games, the "Read Speed" is the most important. A Class 1 fine card will be fine for most people, but get a Class 3 if you have the money. Write speed will be important for downloading games, updates and saves. These are just two suggestions as you please. Both are nice cards. And there are many more out there. The "Pro Select" will write about 4 times faster than the EVO Select. Writing is important for downloading games/updates and saves. Tomorrow, we'll look at additional Controllers.